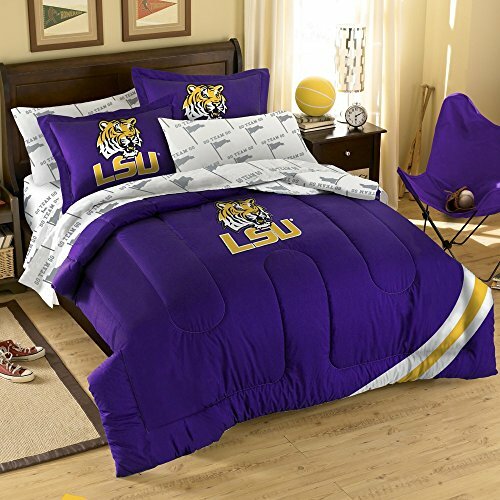 Show off your team spirit with this fantastic comforter set featuring your team's logo! Set includes: 1- Full Size Applique Comforter 2- Printed Pillow Case Shams 1- Fitted Sheet 1- Flat sheet 2- Standard Pillow cases. Made of microfiber. Genuine licensed merchandise. If you have any questions about this product by Purchadise, contact us by completing and submitting the form below. If you are looking for a specif part number, please include it with your message.